I went out this afternoon specifically to photograph a small moss growing in a small fire ring beside my moon garden. The Ditrichum pallidum has no common name in my Walk Softly Upon the Earth book, a field guide to Missouri mosses, liverworts and lichens. The stalks stood an inch tall. A loop walk of part of the backyard turned up another tiny moss, called urn moss (Physcomitrium pryiforme) because of the shape of spore capsules. The stalks on this moss was 1/4 inch tall at the most. Gametophyte — leafy portion of the plant. 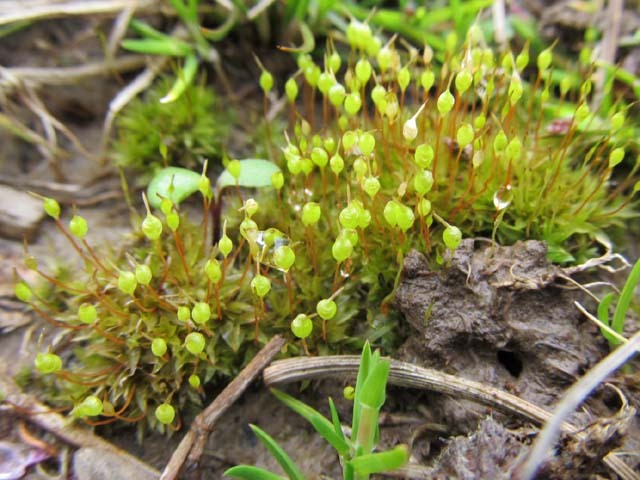 Sporophyte — spore producing part of the plant. It usually has long slender stalk, topped with capsule which produces the spores. I noticed a greenish-yellow patch on the bark of the hackberry tree. It was odd that in was only on the southwest side and low on the trunk. Candelaria concolor grows mostly on trees and occasionally on rocks. Ok…here goes that “joined at the hip thing”! 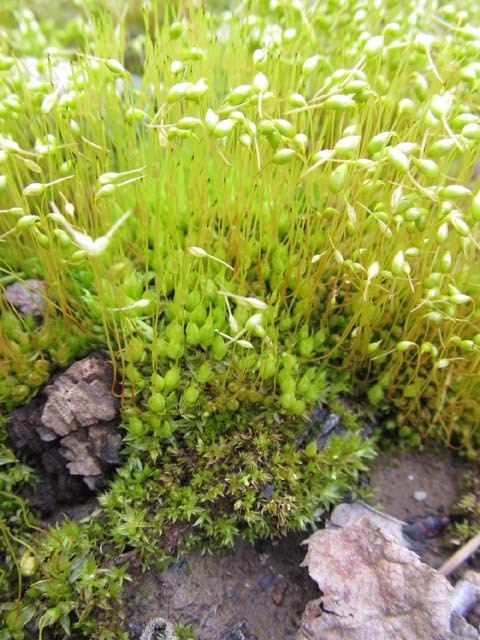 I just pinned several items on Pinterest last night about growing moss! We might better investigate that’s going on here! Excellent pictures of some hard to photograph subjects. 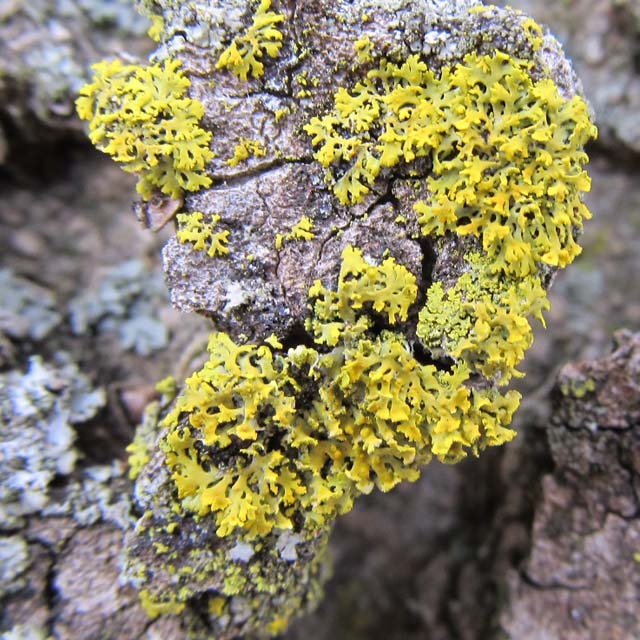 That’s a nice lichen! I’ve noticed that many lichens grow on the side of the tree with the highest humidity-like the side towards, rather than away from a pond, for instance. The patch of lichens grows low on the tree on the west side. It just seems odd to me that it grows there. Many of them are also sun lovers and will not grow in the shade. Thanks. I find them so fascinating. I really like your posts and love your pictures ! Thanks. I really enjoy doing and sharing them.